The St. Louis chapter of the Association for Talent Development (ATD) offers professional development, networking, and career enrichment for workplace learning and performance professionals in the Greater St. Louis area. The purpose of the Chapter is to promote lifelong learning and professional development through responsible action in support of the members and communities that we serve. This award-winning chapter hosts many events, including learning luncheons, Special Interest Group (SIG) meetings, workshops, and an annual conference. Currently, we have about 220 members. Learn about membership options! Our members are trainers and managers, instructional designers, eLearning developers, workplace educators, learning and performance specialists, facilitators, and human resources and organization development specialists. 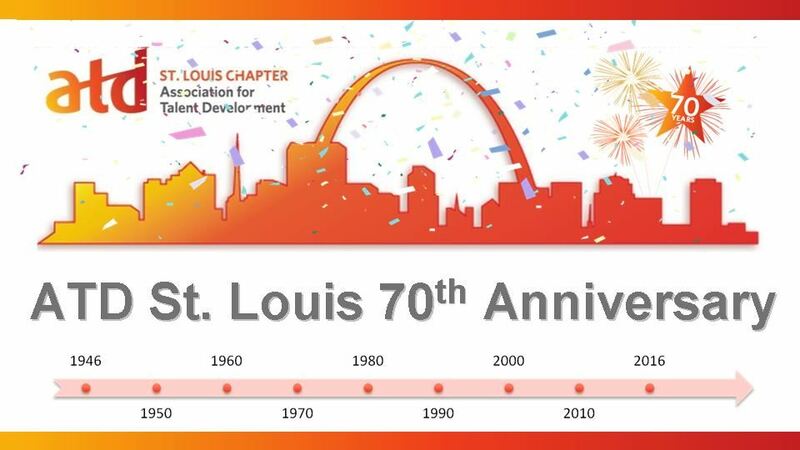 The ATD St. Louis chapter was chartered on January 1, 1946 and recently celebrated its 70th Anniversary. In September 2014, the chapter's name changed to reflect the national organization's change from ASTD (American Society for Training and Development) to ATD (Association for Talent Development). The Association for Talent Development (ATD), formerly the American Society for Training and Development (ASTD), is the world’s largest professional association dedicated to the training and development field. In more than 100 countries, ATD’s members work in organizations of all sizes, in the private and public sectors, as independent consultants, and as suppliers. Members connect locally in 126 US chapters and 20 international partners. For more information, visit www.td.org. 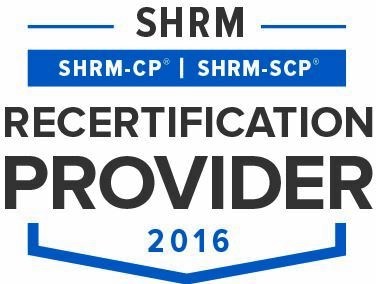 We empower professionals to develop the knowledge, skills, and behaviors critical to success through learning and networking opportunities. Our focus aligns with the ATD Competency Model. Updated in 2014, the ATD Competency Model redefines the skills and knowledge required for trainers to be successful now and in the future.